It is safe to say that everyone knows who to seek for whenever there is a dental emergency: the dentist. However, are you aware that dental emergencies are not the only reason to visit the dentist? Having regular dental checkups is essential for your health, and here are the reasons why you need to see the dentist regularly. There are several reasons why going to the dentist regularly is important. Firstly, dental checkups are needed to keep your mouth area clean and free of diseases. 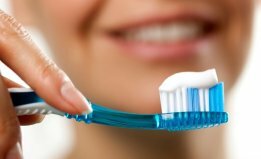 There are spots in your mouth that are unreachable and more difficult to clean, but with professional tools, dentists are able to properly clean and examine these spots. Cavities, for instance, may be overlooked because it is rather hard for us to thoroughly examine our own teeth. Furthermore, oral diseases, especially those that do not have painful symptoms, are also harder to notice without the help of a professional. By visiting the dentist regularly, any changes that had occurred in our mouth can be precisely monitored, and this is also a great way for early detection of illnesses. Gum Disease: Caused by bacterial infection, gum disease makes your gums swollen, loose, and bleed easily. If left untreated, gum disease may cause tooth loss and increase the risks of other diseases, including diabetes and heart disease. The early stage of gum disease is usually not painful, so a dental checkup is beneficial to check for early signs of gum disease. Oral Cancer: Oral cancer is a type of cancer that begins in your mouth area. Generally, cancer is infamous for being a serious disease that is difficult to cure, and therefore, having regular dental checkups is essential to prevent it from developing. Oral Thrush: Also known as oral candidiasis, oral thrush is a yeast infection that affects the mouth area. This condition is mostly harmless, although it may cause irritations, difficulty swallowing, and weakens the immune system. Babies are prone to oral thrush and can easily spread it to their mothers through breastfeeding, causing their breasts to be painful and itchy. Wisdom Teeth Infection: The last set of teeth that grows last are the rear molars, which usually appear gradually during the late teenage years or early 20s. Most of the time, however, there are no spaces left for these teeth, and this causes them to become buried in the gums and cause pain. When this happens, it is important to visit the dentist for a checkup and have your wisdom teeth extracted. Swollen Lymph Nodes: Lymph nodes are located in several different parts of the body, including the neck. During a dental checkup, your dentist will check your neck to see if your lymph nodes are swollen. Swollen lymph nodes may indicate a more serious health issue that needs to be treated, including cancer. The first step of a dental checkup is an assessment. You will be asked questions regarding your health history, the history of your family’s health, and your habits, such as smoking and diet. These questions will be asked in order for the dentist to understand your health better and know risk factors that you may have. Next, your mouth will be examined. Your dentist will check if there are any cavities, plaques, and tartar (the yellow or brown deposit on the lower part of your teeth) present. They will also check the firmness of your gums to see if you have any symptoms of gum disease. Scaling: Scaling is a method of removing tartar and bacteria buildup. This is a non-surgical method and no anaesthetic is required. The dentist will use professional dental tools to carefully clean every area of your mouth. Polishing: After the scaling process is complete, the dentist will polish your teeth using a polisher made of rubber. Polishing smoothens the teeth and removes stains. Head and Neck Examination: Besides your mouth, the dentist will also examine your head and neck. The firmness and movements of your jaw will be checked, as well as the condition of the lymph nodes in your neck. Poor jaw movements may indicate gum disease or temporomandibular joint dysfunction, while swollen lymph nodes may be a sign of other health diseases. X-ray: X-ray is a way for the dentist to see any hidden issues in your mouth. For instance, it can detect the position of the wisdom tooth that is tucked in your gums. X-ray also allows you and the dentist to see the structure of your teeth clearly. If you are pregnant, please notify your dentist as this method is not safe for pregnant women. Having regular dental checkups offers many benefits. Firstly, you will receive professional cleansing which efficiently removes tartar and bacteria buildup that could further damage your mouth if left untreated. Illnesses can also be detected from early on through regular dental checkups, preventing them from further damaging not only your oral health but also your general well-being. Overall, visiting the dentist regularly helps maintain your oral hygiene and health greatly. How Often Should You Go for a Dental Checkup? Visiting the dentist once every six months is recommended. This is the ideal frequency for sufficient checkup of your oral health. However, certain cases may require more frequent visits depending on the severity of the condition. Your dentist will let you know when you should come back after your initial checkup. The average price for a dental check-up in Melbourne, ranges between $75 and $125. For a limited time we are offering our Melbourne patients $60 Dental Check-Ups. What should I do in between checkups? It is important to take care of your oral health in between checkups. Brushing your teeth twice daily and regularly flossing and using mouthwash is the easiest way to do so. If your dentist had given more specific instructions on what to do, such as taking certain medications, please follow them. What are the signs that I need to visit the dentist? Bad breath, swollen gums, bleeding gums, dry mouth, and difficulty swallowing or moving your jaws are symptoms of several dental problems. Please see the dentist immediately if you are experiencing at least one of these symptoms. Please keep in mind that even if you are not experiencing any of these symptoms, you will still need to visit the dentist once every six months. I’m a senior citizen. Should I visit the dentist more frequently? Once every six months should be enough. If you have specific dental problems, such as gum disease or decaying teeth, you should see the dentist more frequently. They will specify when your next visit should be after your initial checkup. I have kids. How often should I take them to the dentist for a regular checkup? 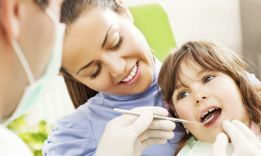 Yes, children need regular dental checkups as much as adults. Start taking them to the dentist once their first tooth appears, and then come back every six months for regular checkups. I’m pregnant. Is it safe for me to have a dental checkup? Yes, it is perfectly fine for pregnant women to visit the dentist. In fact, pregnant women need to have regular checkups because they are prone to dental problems, including gum disease (due to hormonal changes) and tooth decay (caused by morning sickness and vomiting). I have dental braces on. Should I visit the dentist more frequently or is once every six months enough? Those with dental braces should visit the dentist more often for cleaning and adjustments, ideally once every three to four months. How long does a dental checkup take? It depends on the condition of your teeth and gums. Those with very little problem should expect up to 10 minutes, while those with more serious problems may need to spend up to 60 minutes at a checkup. My mouth area seems fine and I experience no pain at all. Should I still go for a checkup? Yes, you should still see the dentist regularly. There are oral diseases that do not cause any pain, such as gum disease. Therefore, just to be safe, visit the dentist for regular checkups. 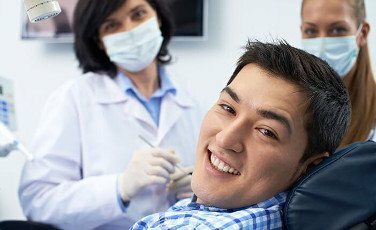 Is it really necessary to get your teeth properly cleaned by the dentist? Yes. Sometimes there are areas that we do not realise are actually overlooked when brushing the teeth. Dentists have the correct tools and skills to clean them and check for cavities, tartar, and bacteria buildup. 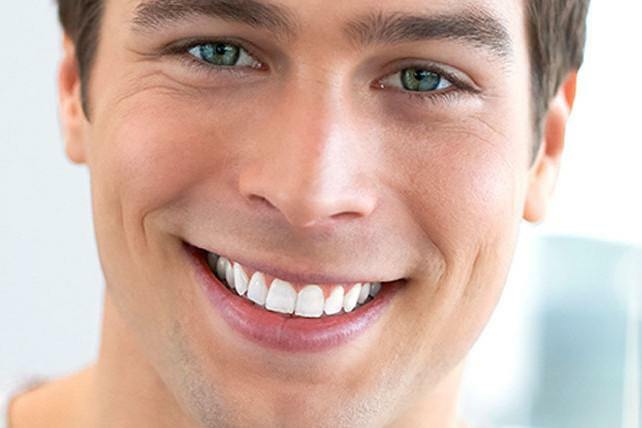 Does deep cleaning whiten the teeth? Scaling (deep cleaning) removes the bacteria and tartar from your teeth, thus making them cleaner. However, it does not change the natural colour of your teeth. 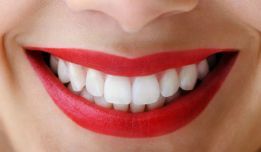 If you are looking to get your teeth whitened, ask your dentist for a teeth whitening treatment. Does deep cleaning cause any pain? Scaling usually does not cause any pain, although some people may experience slight discomfort. Please notify your dentist if you are experiencing any pain or discomfort during the scaling process. Will my teeth get x-rayed during a checkup? Your dentist will most likely require you to have an x-ray during the initial checkup. This allows them to see if there are any hidden problems, and they will also store this x-ray image as part of your health record. You will not need to have any x-rays taken during the next checkups unless your dentist requires you to. Am I allowed to eat after a deep cleaning? Yes, but it is recommended to avoid hot and cold food as your mouth may become sensitive after deep cleaning. Can diabetes be detected through a dental checkup? Yes, it can. Dry mouth and swollen gums are symptoms of diabetes that can be detected through a dental checkup. What other diseases can be detected through a dental checkup? There are several diseases that can be detected through a dental checkup. Some of these diseases are heart disease, kidney disease, pancreatic cancer, osteoporosis, and malnutrition. What if the dentist discovered that I might have a disease outside of the mouth area? If this happens, they will refer you to another specialist that deals with that specific disease. Will my tooth be removed if it has a cavity? Only when the condition is really bad and unrepairable. Some cavities are repairable and can be removed using a drill, but there are cases where the cavity had severely infected the tooth and needs to be extracted immediately. I’m having a serious dental emergency. Should I go to the dentist or the emergency room? When a toothache is unbearable, non-stop bleeding occurs, or your permanent tooth has been knocked out, you are allowed to visit the emergency room instead. You are also allowed to go straight to the emergency room when your dentist is unavailable. Should someone accompany me during a dental checkup? If you feel more comfortable being accompanied, you are allowed to bring someone in with you. However, please keep in mind that dental assistants will be present and they will assist you throughout the checkup. Are regular dental checkups really necessary? Yes, regular dental checkups are highly essential. Visiting the dentist every now and then may seem like a hassle, but it is better to check your health regularly to prevent anything bad from happening.